A centralized operation facility monitors and controls operation of the SET system on a 24 x 7 basis. The system has emergency telephones that are installed at regular intervals on the station platforms. They are also located throughout public access areas within the metro's transit network. The phones are compliant with Americans with Disabilities Act. 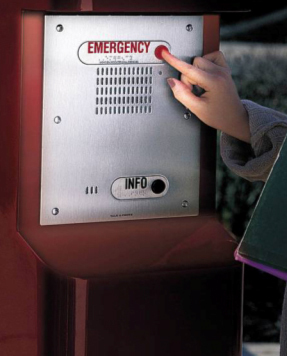 The SET System consists of emergency phones on the platforms and Voice-over-IP Gateways located in an equipment room. 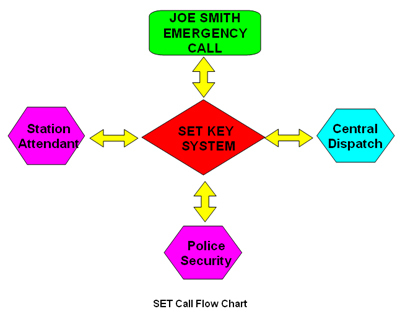 The phones interface with local communications equipment such as a switch and/or a gateway, which, in turn, is connected to a centrally located PABX via Wide Area Network. The Gateways route the calls from the emergency telephones to a local station attendant first. If a call is not answered within a few rings or predetermined time, say 15 seconds, it will be routed to the central Dispatch Center. Unanswered calls from the Dispatch Center are immediately routed to Police, Private Security Agency etc.